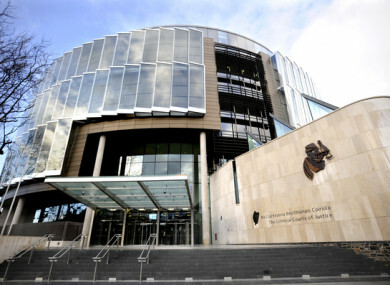 A FORMER CHARITY director stole over €1 million from the voluntary organisation and friends and family while acting as a bookkeeper, Dublin Circuit Criminal Court has heard. Greg Walsh (70) came to court on signed pleas of guilty to 119 thefts totalling €998,476 from various parties, including Carline Learning Centre in Dublin, between 2008 and 2016. He signed further pleas of guilty to four thefts totalling €150,000 from Bank of Ireland on dates in February and March 2015. The Carline Learning Centre thefts of over €280,000 came to light when a staff member noticed discrepancies on the accounts when signing off on them before retirement. Detective Garda Padraig Jennings revealed that Walsh had been director and treasurer of Carline Learning Centre, a Clondalkin based charity for disadvantaged young people. Dublin Circuit Criminal Court heard he misappropriated funds to pay the charity’s tax bills by lodging the cheques into his own account before making direct debit payments on Revenue’s online system. The father-of-four, of Woodbrook Crescent, Castleknock, Dublin, has no previous convictions. Detective Garda Jennings told Diana Stuart BL, prosecuting, that Carline Learning Centre still had an outstanding bill to Revenue as a result of the misappropriated money. The detective said it had only managed to stay afloat through public support. He agreed with Patrick McGrath SC, defending, that gardaí thought they would be investigating the Carline matter only, when Walsh revealed details of the other injured parties. Detective Garda Jennings said these included friends who gave Walsh money to invest on their behalf while he acted as their bookkeeper. In each case, Walsh repaid the parties what they thought were dividends on their investments. Detective Garda Jennings said in other cases Walsh acted as tax agent to friends and his nephew, who would give him money for Revenue. The detective revealed that in many cases the funds received from individuals were not forwarded to Revenue, but used to pay the tax bills of other injured parties. He said these injured parties had suffered Revenue implications as a result. The court heard Walsh’s nephew was at a €10,000 loss because tax owed on rental income was not forwarded to Revenue. Another man, the only injured party to make a victim impact statement, lost €14,138 through Walsh acting as his tax agent. This man described how his pregnant wife called him after she had opened their door to a sheriff, while he was working abroad. The man said he had to pay a goodwill gesture to hold off Revenue until he found out what was going on. He said Walsh told him over the phone “I’m very sorry, I’m in a bad place”. The man said he couldn’t pay his mortgage or feed his family as Revenue had frozen his bank accounts. He revealed his heart was breaking because he was now in heavy debt just when he thought he was getting back on his feet with his business. Detective Garda Tyrone Houlihan told Ms Stuart that two brothers had initiated civil proceedings against Walsh for the €150,000 business debt he owed them. The detective said to discharge this debt, Walsh wrote cheques from an empty Ulsterbank business account to his Walsh and Co Bank of Ireland trading account. Walsh then transferred the amounts to the brothers. Detective Garda Houlihan explained to Judge Pauline Codd that as they were business accounts, Bank of Ireland allowed Walsh transfer the funds before the Ulster Bank cheques cleared. He said in a personal account this would not happen. The detective agreed with Mr McGrath that the bank in this case was at a loss and that his client made full admissions to the crimes. Both detectives agreed with Mr McGrath that Walsh’s guilty pleas saved a lot of time and work in preparing the cases for court. Detective Garda Jennings agreed that €785,095 was the net loss to various parties after all repayments to date. He further agreed that Walsh had paid a settlement and costs to Carline after civil proceedings, as well as transferring private pensions and life policies. He agreed that Walsh, who began practicing as a tax agent in 1976, had lost his family home and was now living off a State pension. Detective Garda Jennings accepted that “robbing Peter to pay Paul” was the best way of explaining all the allegations as things spiralled out of control for Walsh. He said Walsh asked gardaí to give him a few days before interviewing him, so he could ring and apologised to all people affected by his offending. Mr McGrath asked Judge Codd to adjourn the sentencing and his plea in mitigation to allow Walsh attend clinical appointments over the summer for his serious heart condition. Judge Codd granted the adjournment and put the matter back until October. Email “Former director stole over €1 million from charity, friends and family, court told”. Feedback on “Former director stole over €1 million from charity, friends and family, court told”.